​A collection of resources collated by CORE Education's Derek Wenmouth. An excellent collection of videos, featuring international speakers and New Zealand schools who are leading the way with MLE research and thinking. Examples of Modern Learning Environments that have been built in New Zealand. A blog post by Australian teacher Kathleen Morris about how she runs a school day with her co-teacher. A leading organisation that provides advice, guidance and inspiration for those developing new buildings and schools. A free downloadable guide, design examples and videos. A fantastic resource for those who are wanting to have input into creating better learning environments for students. Prepare to be bombarded with images and ideas for Modern Learning, technology use and amazing ideas! Stephen Heppell is a world leader in this field. An excellent slide share presentation from Allannah King about the use of technology to transform teaching and learning. Class blog outlining a journey to create a modern learning environment. Brilliant presentation from the CEFPI Conference 2013, by Daniel Birch, principal of Hobsonville Point Primary. Theme - "It's not the space, it's the LEARNING." An article that might be a good resource for information to parents and the community about MLE. 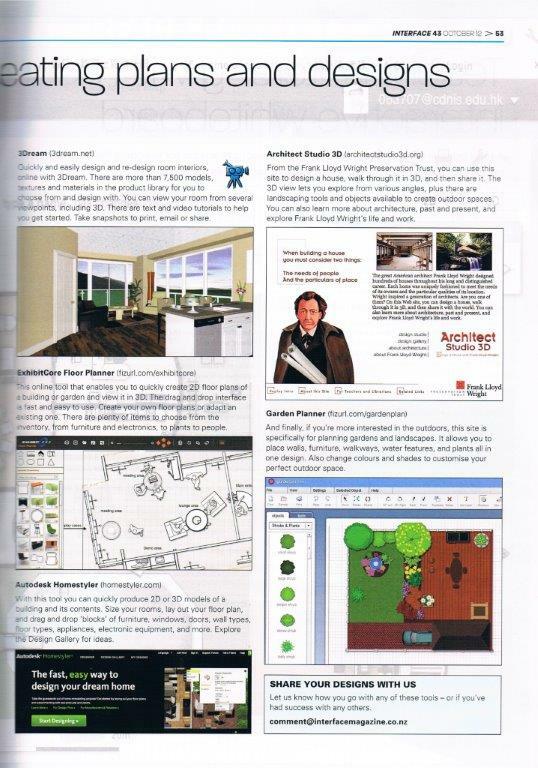 Article from Interface Magazine. 10 for teachers. 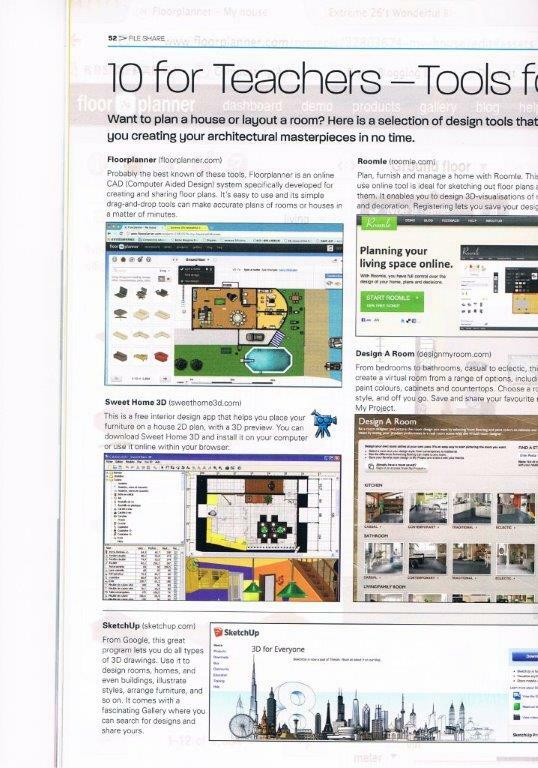 Design programmes that could be great for involving students in designing and manipulating spaces. TKI resource of how New Zealand schools are using teaching and learning spaces. Issue 12 from the School Library Association of New Zealand, features excellent articles about libraries and librarians rising to the challenge of Modern Learning Environments. Modern Learning discussion group on the Virtual Learning Network. An awesome resource from Waikato Principal Tony Grey. A vast collection of resources and ideas from his sabbatical. Made me realise just how far we've come in the two years since I had mine! Fantastic Floorplans for Modern Learning Environments. ​Official Ministry of Education Website for Innovative Learning Environments. Lots of excellent examples. A nice collection of videos demonstrating a range of creative spaces/ classroom designs. NZ features heavily in this blogpost from the Creative Digital Citizen Foundation. Look through some excellent podcasts about teaching collaboratively and developing innovative learning practice. Excellent resources for supporting new builds, collaborative teaching practice, excellence and innovation. New resource from Inclusive Education that outlines planning innovative learning environments that suit ALL learners.